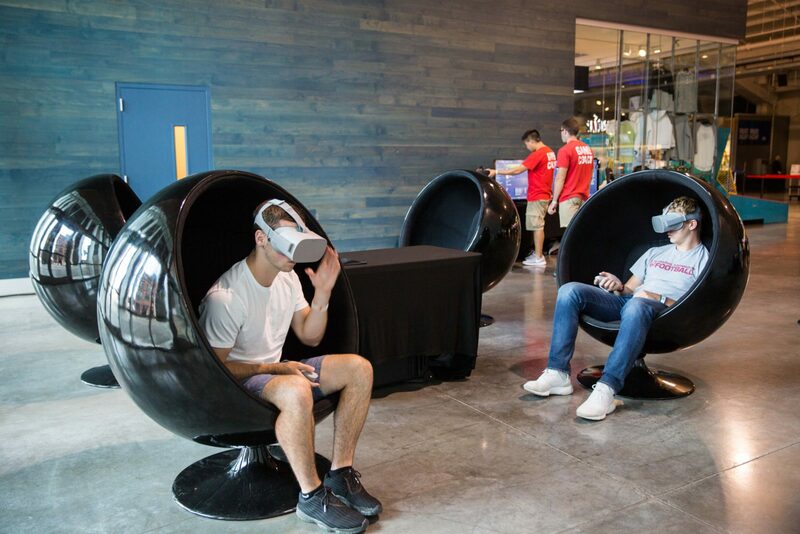 A look at authentically incorporating virtual reality at events. The question of whether or not to incorporate virtual reality into an event is a question that also asks a lot about the event itself. What is the purpose behind the event in question? Is it an event aimed at bringing people together? Is it a marketing or brand activation? Is this event a chance or an opportunity to make a first impression like a conference or expo appearance? Virtual reality has quickly become not just a new phenomenon in the entertainment sphere, but a medium with limitless applications. Virtual Reality has the ability when used strategically, to be a highly engaging medium for storytelling, marketing, entertainment, and more. Assessing the rise of virtual reality technology across various industries throughout time, and within the last year alone, it is clear that big brands and industry leaders are quickly adopting virtual reality as a highly versatile tool to draw engagement within an organization, within a consumer base, or even with a potential consumer base. 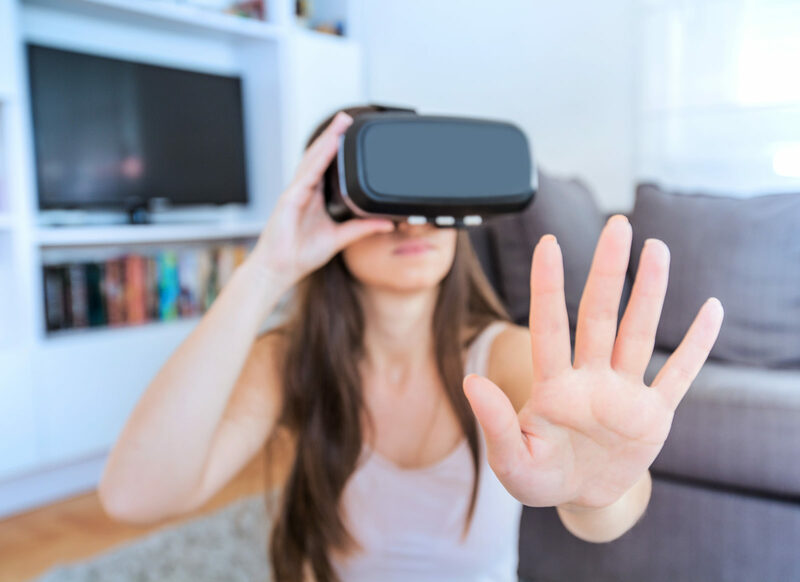 Knowing that virtual reality can be an incredibly efficient tool, this article will break down the many ways one can utilize virtual reality at their next event in a way that is engaging, impactful, and authentic. With any endeavor, it is always crucial to understand the audience. A successful event is one that is tailored to its audience authentically and is centered around building organic connections. Whether it be a launch where the audience is made up of potential investors and consumers, a company event, a school fundraiser, or a networking event, there is always an opportunity to create organic connections between the attendees and the event host. There are many routes one can take with events. When using an event as a means to make a first impression, draw in an audience for a particular product, or to engage with a brand like a trade show or exposition appearance, the strategy behind the event should focus elements like storytelling. Many brands across all industries have used virtual reality in this way, and for some of the biggest examples of this check out our break down of 18 Inspiring Uses of Virtual Reality Marketing as well as our bread down on How to Improve Trade Show Engagement with VR for an in-depth look on how virtual reality can be used at marketing centered events. If the event is aimed at sparking engagement internally at an organization such as a corporate holiday party, team outing, networking event, or fundraiser, then the focus will be on building immersive experiences that all attendees can relate to and engage with, adding storytelling elements is also a powerful addition in these cases as well but the primary focus is on creating an environment that welcomes connections between attendees. 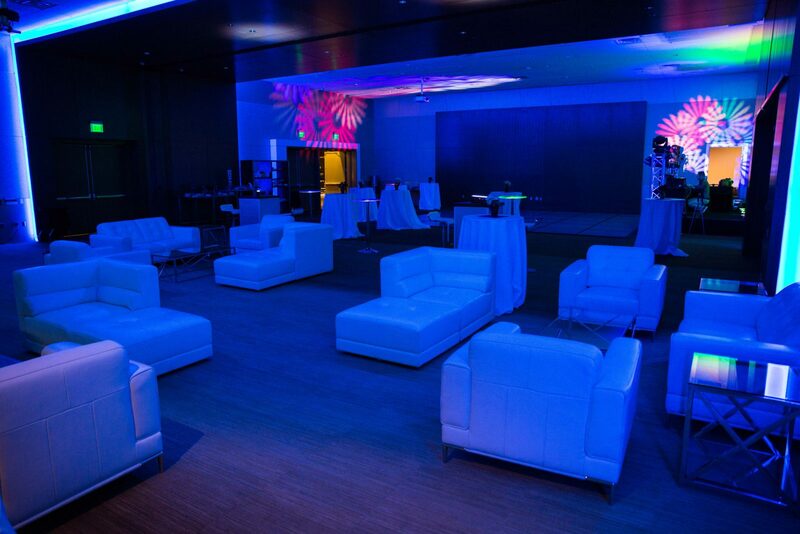 There are unlimited routes to take when building an event with virtual reality elements. If the event has a particular theme in mind find virtual reality elements that compliment the theme or take the theme to a new engaging and immersive level for attendees. 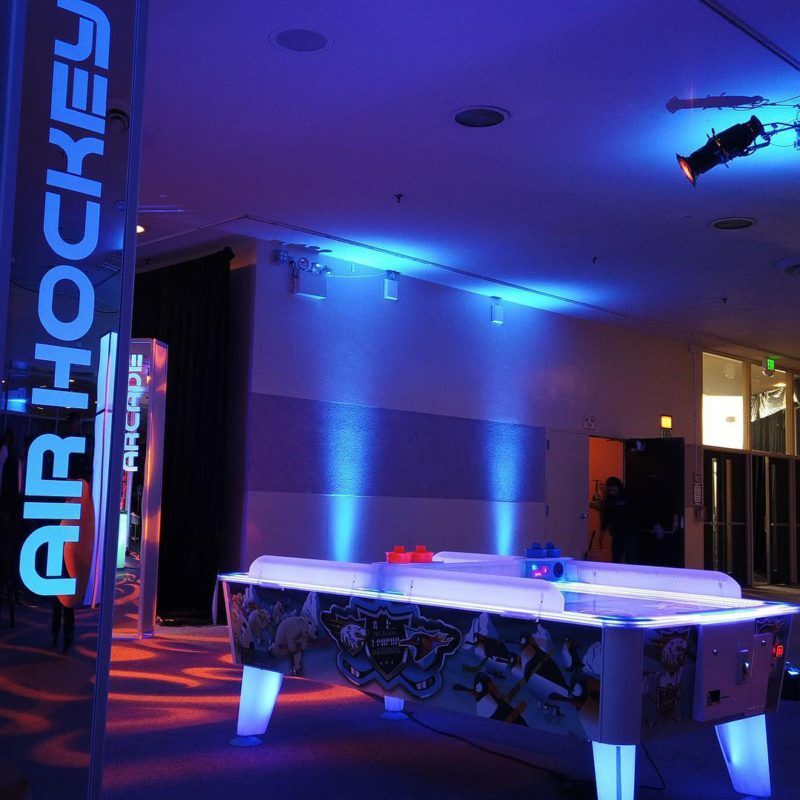 If the event theme is one that resonates with the attendees because of its relevancy or proximity such as a winter-themed event for a winter sporting event, then the ability to include guests through virtual reality entertainment like hosting a VR station where guests can enter immersive skiing or snowboarding simulation is one solution. Finding VR games to match themes like outer space, a murder mystery dinner party, or even zombie apocalypse-themed, are all great and specific ways to use VR games to play on the theme of any particular event. 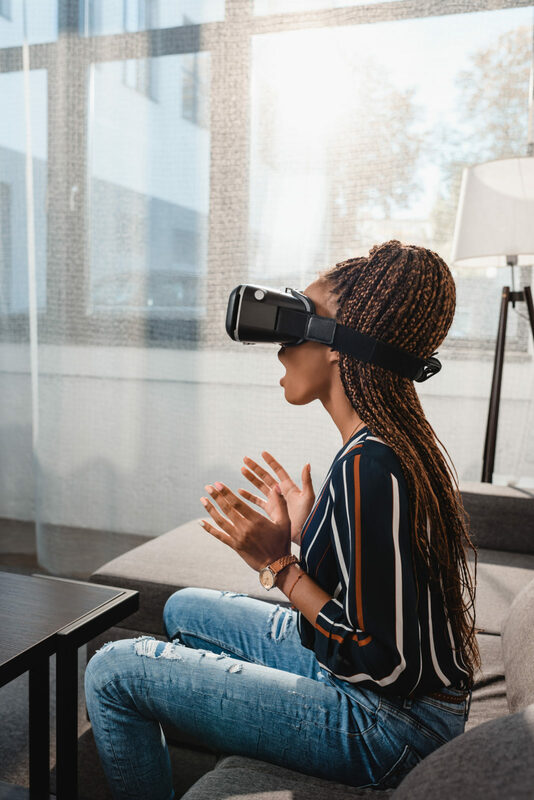 When it comes to hosting events that are not pertaining to one specific theme, utilize VR experiences that are just as versatile as they are engaging. The Google Tilt Brush is one of the only pieces of virtual reality entertainment that can be used in such a diverse range of ways from allowing guests to create room scale drawings and animations to using the Tilt Brush to play traditional and familiar party games such as Pictionary, by using the device in scenarios where a traditional pen and paper would be used. Taking virtual reality and applying it to enhance familiar party games, or using a VR version of a traditional party game or board game, is an easy way to give attendees or team members a more approachable introduction to virtual reality as well as a more universal experience compared to a specific gaming experience. 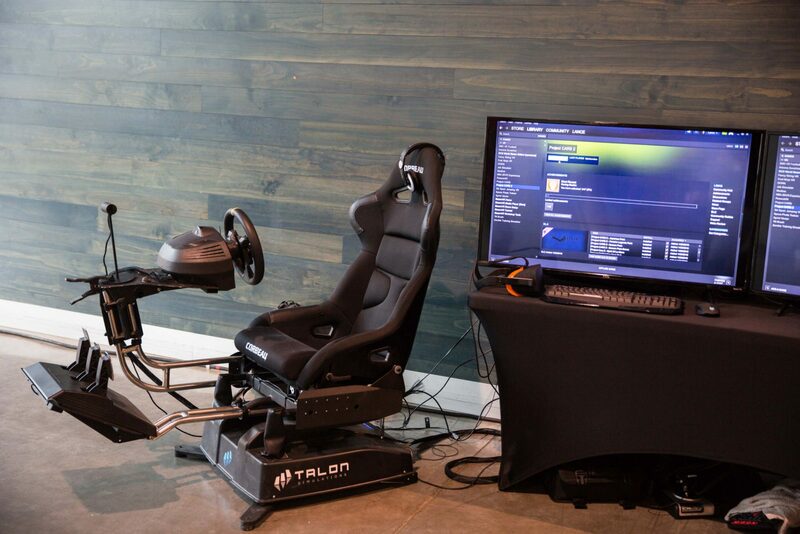 When creating the environment at an event with virtual reality there is a multitude of ways to do so. 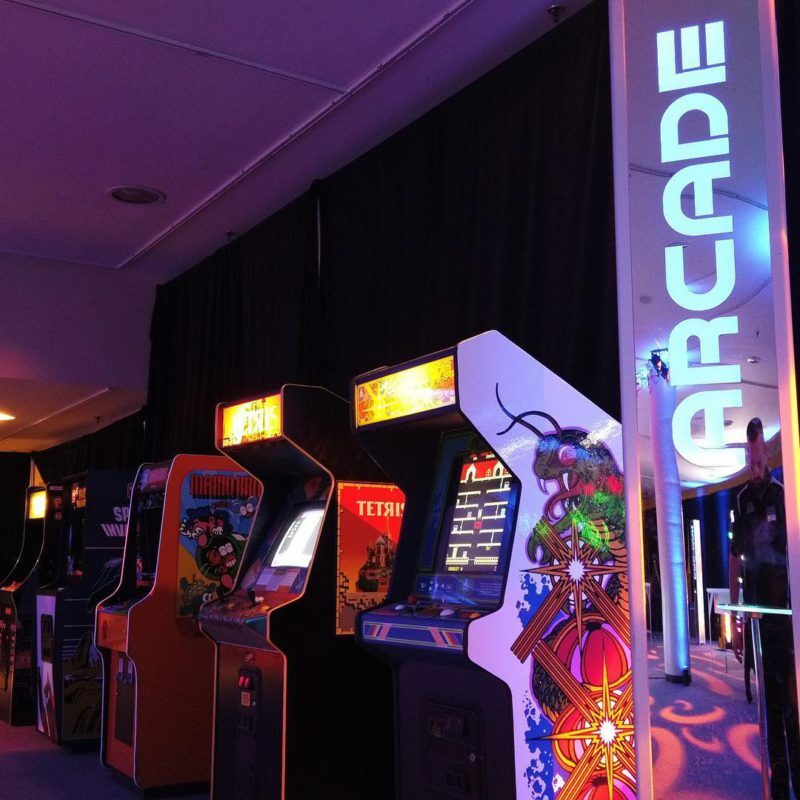 It can be done by creating a dedicated gaming section or gaming lounge at an event where guests can explore and enjoy the juxtaposition of classic arcade games and new virtual reality experiences. 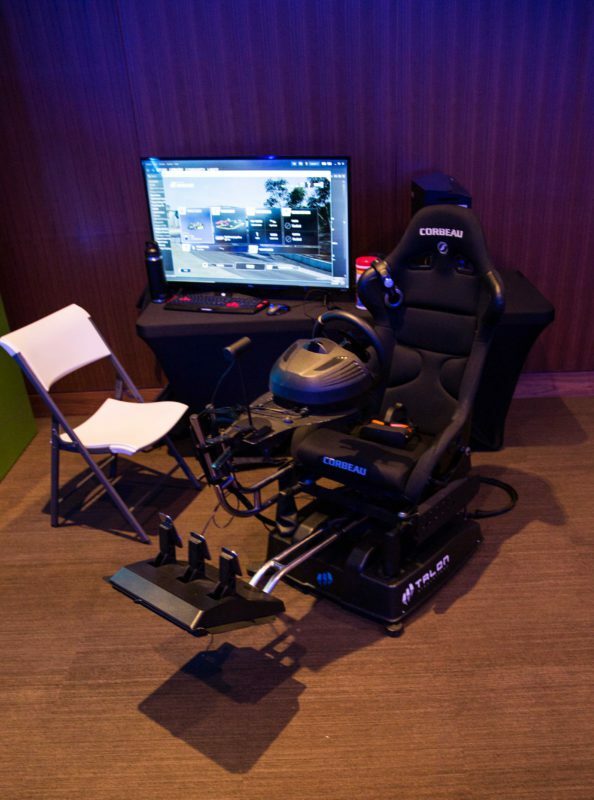 Or by creating various stations throughout the event where a different element of virtual reality is used. One of the best ways of utilizing virtual reality gaming at an event is the use of multiplayer gaming experiences. For a look at a diverse range of multiplayer VR experiences for group outings, team building activities, and events check out a break down of the Top 19 Virtual Reality Games for Events. Have one section of the event dedicated to showcasing a storytelling element through virtual reality. Let this be a way for members of an organization to interact with a story or timeline by showcasing the history of the organization, a recap, a timeline, or engage with a new campaign through virtual reality. Have various sections of the event dedicated to being inclusive of family-friendly and younger attendees, as well as allowing a beer garden, gaming lounge, or sports bar experience with VR games meant for adults.